The 2019 Ram 1500 has been fully redesigned this year, boasting a variety of best-in-class performance specs and class-exclusive features. On top of all that, drivers in Red Bluff and Redding will also find a variety of unique Mopar® accessories available to help improve the utility, durability, and convenience of the Ram 1500. Rambox® Toolbag: Fit all of your tools inside the official Rambox® Toolbag, complete with the Ram logo and compartments for all your stuff. Steel Ladder Rack: From painters to insulators and HVAC installers, if your job requires a ladder Ram has you covered with our steel ladder rack. Hitch Receiver, Ball-Mount Adapter, and Hitch Ball: The 2019 Ram 1500 can handle up to a best-in-class V8 towing capacity of 12,750 pounds with the help of this suite of towing accessories. Bed Step: Enjoy easy access to all the tools and equipment in your Ram truck bed with the easy-to-climb Ram bed step. Heavy Duty Splash Guards: Keep your Ram truck clean and free from corrosion and scratches while trudging through mud and rocks with the help of the heavy duty splash guards. Wheel-to-Wheel Tubular Side Steps: Get into the front or rear seats more easily with the wheel-to-wheel tubular side steps. All-Weather Floor Mats: Ram truck drivers get messy during a day of work, but the all-weather floor mats ensures the floor of your cabin stays clean and free of debris. 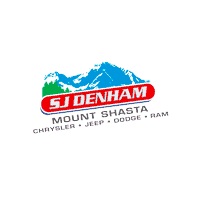 At SJ Denham CJDR, we keep a full lineup of Ram parts and accessories in stock at all times. Order Ram parts and accessories online, check out other accessories like seat covers, or visit us so we can take care of all your Ram service needs.